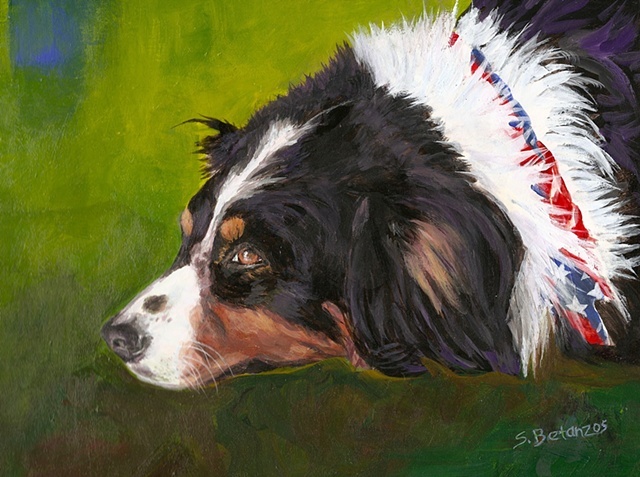 Australian Shepherd acrylic portrait is lovely in shades of rich green, blue. Her sensitive, thoughtful expression has dignity. A Perfect gift for Australian Shepherd lovers, veterinarians and rescue groups.